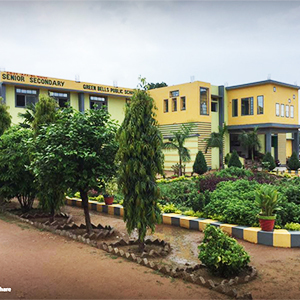 Green Bells Public School, Burhar provides well designed infrastructure and facilities to its students for the pursuit of educational and creative activities that are of vital importance for the all round development of their personality. Well ventilated, airy and spacious class rooms equipped with all latest and upgraded ICT tools. Well designed furniture with comfortable seating arrangements. Well stocked library facility to enhance the reading capability of the students. Provisions for separate labs for Physics, Chemistry, Biology, Maths, Social Science & Computer for better understanding of the theoretical concepts. Excellent sporting facilities in form of Football Field, Badminton Court, Athletic Track, Cricket Pitch, Skating Rink, Kho-Kho Field are being built.